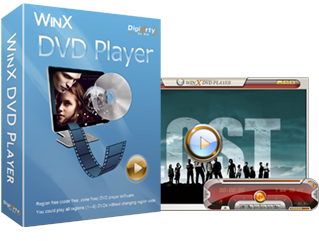 WinX DVD Player is comprehensive and all region free DVD player software for Windows OS users. It plays all kinds of DVDs, VCDs and SVCDs, including copy protected DVDs, commercial DVDs, home-made DVDs and all region 1-6 DVD-5 and DVD-9 easily and smoothly, making you enjoy DVD movies and audios at home freely. Besides playing discs, this region free DVD player also supports playback of digital videos files in the formats like AVI, MP4, ASF, DAT, DIVX, MPEG, RM, RMVB, VOB, WMV, XVID, etc. as well as audio formats MP3, WMA, RMA. With the video and DVD movie playing program, your digital life will be more colorful and delightful. Note: WinX DVD Player has been greatly improved and renamed to 5KPlayer. Download a free copy to play your DVDs and any videos. Rip DVD to MP4, AVI, WMV, MOV, MPEG, FLV, H.264, MP3, etc. Rip DVD to iPhone, iPad, iPod, Android, WP8, PSP, etc. Copy DVD to ISO/MPEG2/folder, and copy DVD main title modes. All regions 1-6 DVDs supported. No need to change region code when playing different region DVDs. Also, this region free DVD player can remove all new copy protection technologies, say, CSS, Sony ArccOS, UOPs, Disney, etc. With it, watching DVD movies could be worry-free. Not only for DVD-R/RW and DVD+R/RW (either DVD-5 or DVD-9), this DVD player software also enables you to play VCD and SVCD as well as internet videos in formats AVI, MP4, MPEG, VOB, WMV, ASF, DAT, DivX, etc. and listen to MP3, WMA, RMA music. With high quality video encoding engine inside, this region free DVD player and DVD decoder provides you the best video and audio quality for playback. No video/audio quality degradation or loss. You can also select audio track from AC-3 to 5.1 channel to get optimal audio effect. The straightforward interface will largely ease your DVD/video playing and watching. Volume, screen size, playback progress, Brightness, Contrast, Hue, Saturation etc. can all be altered through simple clicks or tiny glides. Region Protected DVDs - This region free DVD player can play all regions 1-6 DVDs without trouble. Code free. Zone free. Copy-protected DVDs - Decode and play DVDs under copy protection, like CSS, Sony ArccOS, UOPs, Disney X-project DRM, etc. Commercial DVDs and home-made DVDs are also playable on this all region DVD player program. 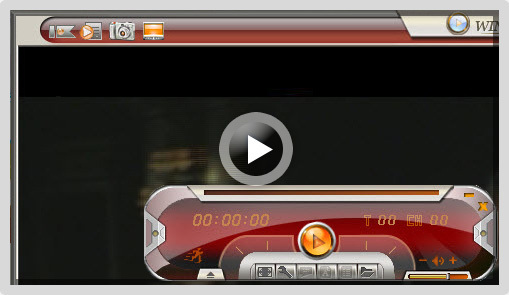 Video Formats - Smoothly play videos in the formats as AVI, MP4, DivX, MPEG, RMVB, VOB, WMV, Xvid, etc. with excellent video/audio quality. Audio Formats - This region free DVD player also functions as a powerful music player to play music as MP3, WMA, RMA formats which will definitely bring you much fun in music enjoying. Multi Audio Track - This DVD movie software supports AC-3 surround sound up to 5.1 channel which give you perfect audio enjoyment. Set Playback Rate - Allow users to self-define playback progress, from 0.1x to 16x playback adjustable. Bypass FBI Warning - Users can skip the FBI warning easily when enable the operation-free option. Skin Setup - Two interface skins are optional, default and gray. 1. DVD Region Code Enhanced (Region 1-6). 2. Regular DVD (homemade DVD). 3. Commercial DVD CSS encryption. 4. User Operation Prohibition (UOP). 5. Sony ARccOS DVD protection. 7. The Analog Protection System (APS). Import DVD Movie or Video. Click the folder icon at the bottom and choose DVD disc/Open File/Open DVD Folder to import source movie or video. Hit Play icon to enjoy DVD movies/videos. No matter from which region the movie is, you will not have to change it, as the application will play it anyway. That's the reason why I choose it for playback of my region code protected DVDs. The interface is so simple! I am not a computer smart, but I can easily operate it! Besides, the quality of the movies are always good to view, and sound is OK too. In a word, I like it. It's great program to help me play region 2 DVD movies. I have a large collection of region 2 DVDs these years but bother to play them. Finally, your program helped me out. Easy to use. Powerful to decode. Wonderful. This DVD player is the best DVD playing and decoding software to support all regions 1-6 DVDs and copy protected DVDs. And it also supports video formats as AVI, MP4 ASF, DAT, DivX, MPEG, RM, RMVB, VOB, WMV, Xvid, etc. WinX DVD Player can be your best assistant in DVD/video watching on PCs. How to Play DVDs and Internet Videos with WinX DVD Player? With WinX DVD Player software, you can capture all of the things you love about the theater experience. It is able to play all region 1-6 DVDs, copy protected DVDs, hone-made DVDs as well as internet videos as AVI, WMV, MPEG, etc. What Are the Top 3 Free DVD Players for Windows 10? When the news that Microsoft would not support Windows Media Center in Windows 10 came out, many users began to wonder how to play back DVDs after upgrading to Windows 10. The best 3 Windows 10 DVD players are singled out. If you want to play DVD on Windows PC, a DVD player is indispensible. 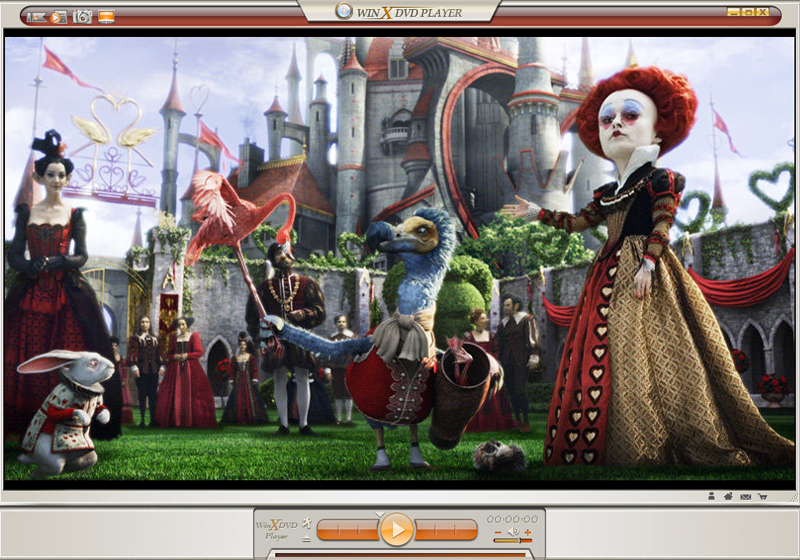 Windows 7 users are lucky, because they can play a DVD directly using Windows Media Player without installing third-party Windows DVD player software. To play DVDs on Windows 7, you need: A DVD-ROM drive (default or external); a DVD decoder (MPEG-2 decoder) installed on your Windows 7 PC; DVD player software app compatible with Windows 7. There emerge incremental demands to rip DVD to MP4 to digitalize the DVDs and make movies transportable. For many disc owners, it is a decision to waver on. This article will particularly show you why and how to convert DVD to MP4.